This is the index for a collection of webpages hosted at the skoozeme website. This index.html page is generally a key for search engines (as is robots.txt), but also lists most of the pages on this website for human readers. Most of these pages are put up by Stan Protigal, but I will occasionally also host other pages. I will also mirror pages from elsewhere that may be taken down for one reason or another. This website is mostly rebuilt in in May-2018, with some exceptions, and moved to the skoozeme.com domain. This website was put up by Stan Protigal 3-Nov-1996 (on Eskimo North (eskimo.com). Since 22-Aug-1997, the site was maintained on Seattle Community Network (SCN) www.scn.org), as www.scn.org/~bk269/ . SCN, being an volunteer organisation, had run into glitches with their (make that "our") personal webpages, so I set up the skoozeme.com domain. This project started 29-Apr-2018, and was "ready for prime time by Jun-2018. This may be linked to Internet Archive's The Wayback Machine, as the information is now more easily sourced elsewhere. ... Which pretty much changed the response on telemarketing calls from "just hang up" to "Don't hang up". At the time, telemarketing calls to landlines were becoming a significant scouge. 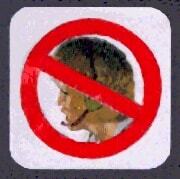 Several of the concepts on Telemarketing Scum were included in US and international telemarketing laws. At present, illegal callers still have to deal with victims keeping them on the line as long as possible, and in response, need to hang up on their marks and otherwise cut into their profit potential. The Washington (D.C.) subway system ("Metro") has encouraged its patrons to turn rudeness and shoving into an art form; hence the system's motto "Skoozeme, Skoozeme". - shows traffic map along with "live cam" shots along selected commutes. See also www.scn.org/civic/traffic/bigtown.html for shots of downtown Seattle. This is the "criminal process" webpage, which I wrote after seeing prisoners pressured into confessing to crimes they didn't commit. As mentioned in the article, if both a crime and a suspect are identified, confessions (coerced or otherwise) should be unnecessary. Police stops are a type of arrest. What not to do during a police stop. Everything You Never Wanted to Know About Modems - describes modem settings for Seattle Community Network. A bit of Seattle culture added to the other Washington's Metro subway system. Metro's disregard of its own industry safety recommendations. Skoozeme, Skoozeme, Skoozeme will be The District of Columbia's state motto if DC is granted statehood. The Telemarketing Scum Page - SINCE 1996! naming individuals when filing complaints - the Telemarketing Scum Page's admittedly feeble attempt at being radical. surveys and pay phones - Another fun project. Also information about Caller ID and ANI. instructions on getting the attention of the legal department of a large corporation. Standards for respecting privacy when using personal email information. Email etiquette relating to email address information. ... well, when used to treat overcrowded classrooms, etc. site links for initial web crawling reference only.